Does daily life get in the way of your exercise and nutrition? Are you feeling overwhelmed by the endless number of “healthy” routines? 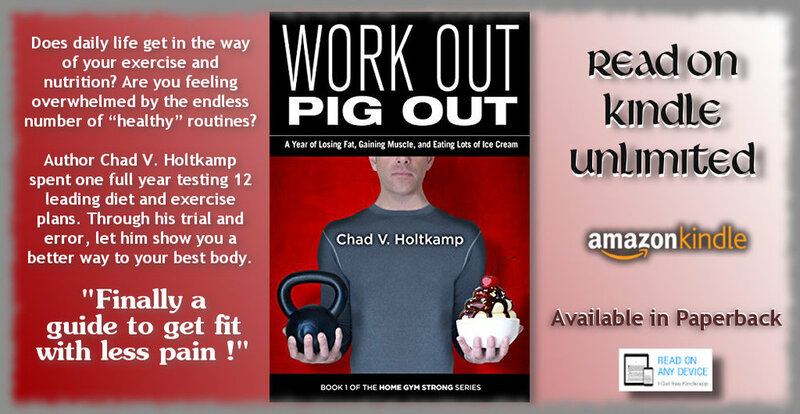 Author Chad V. Holtkamp spent one full year testing 12 leading diet and exercise plans. Through his trial and error, let him show you a better way to your best body. How to diet and still enjoy scarfing down on your favorite foods, and much, much more! This instructive fitness memoir shows you how to tackle the everyday struggles of nutrition and fitness head-on. 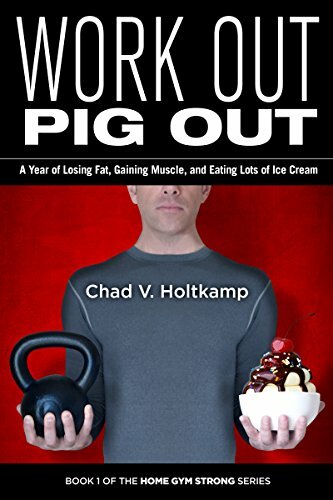 If you like funny and personal workout stories, mouth-watering recipes, and practices you can implement today, then you’ll love Chad V. Holtkamp’s motivational book. Buy Work Out Pig Out to find a fitness plan that lets you have your cake and eat it too!